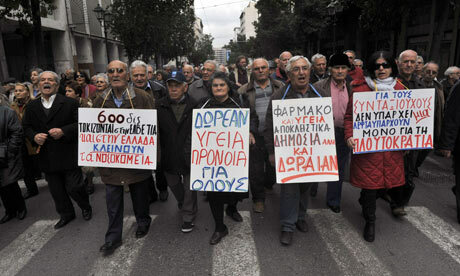 Greek Pensioners need health care. The Greeks, we are told, need to be ‘taught a lesson’ for an abominable crime against the bankocratic (‘trapezocratic’) regime under which we now live. They have been very naughty indeed, what with over-spending on the Olympics and hubristically imagining that they deserve a standard of living comparable with northern Europeans. They need to apologise and take their punishment lying down. 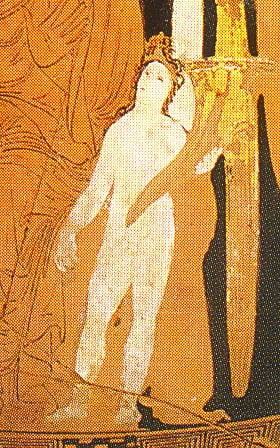 The prospect of the expulsion of Greece from the Eurozone reminds me of the ancient ritual of the scapegoat. If a city was suffering from drought or famine, an individual—usually lower-class, poor, and ugly—was dressed in fancy clothes, given one decent meal, and then stoned out of the city. 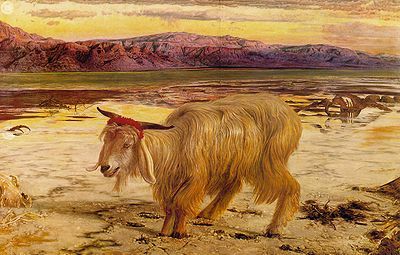 The idea was to con the gods into thinking that the scapegoat was responsible for all the naughty behaviour which had caused the drought or famine in the first place. The 11 million people living in Greece are clearly responsible for the entire global credit crisis of 2008, and must be expelled from the Euro-cosmos, of which they represent just 3%. Representatives of the remaining 97% (Austrians, Belgians, Cypriots, Estonians, Finns, French, Germans, Irish, Italians, Luxembourgians and Spaniards) could reinvent the ancient scapegoat ritual. After surrounding Greece in tugboats, they could throw stones onto the beaches, reciting stock market prices as they did so, in the hopes of fooling the wrathful gods of the Free Market--Wealth (Ploutos) and Poverty (Penia). Long ago I was married into a Greek family. My mother-in-law had nearly starved to death under the Nazi and then Axial occupations, as more than 300,000 actually did; her brother was shot dead, unarmed, protesting in the street; thousands of young Greeks were abducted into forced labour camps. The international dimension of the Greek economy was dealt a lethal blow with the systematic destruction of the historic trading houses run by the thoroughly assimilated Jews of Thessaloniki. 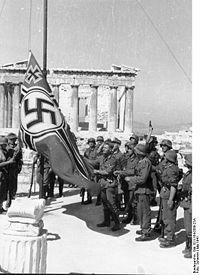 The Germans never did pay the reparations for the damage they inflicted when they plundered the economy through massive forced exports, and compelled the National Bank of Greece to loan them hundreds of millions of Reichsmarks (NB: interest-free). 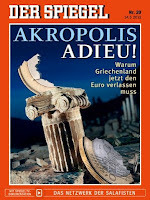 After the war, at the Paris Conference on Reparations, it was agreed that Germany should repay the Greeks sums which bankers estimate would be worth nearly two hundred billion Euros at today’s prices—that is, the equivalent of most of the emergency bailout money they have received. But this never happened. When the peace treaty was finally signed in 1990, Germany officially escaped from the obligation to pay back anything at all. The argument which was used by the USA against insisting the Germans paid reparations in the post-war period was that it might destabilise the country as it had in the 1920s and 1930s, and lead to another world war. Now I know that most people outside Greece couldn’t care less that inflicting extreme financial hardship might destabilise the tiny country and lead to a military junta like the vicious dictatorship so assiduously supported by the USA between 1967 and 1974. 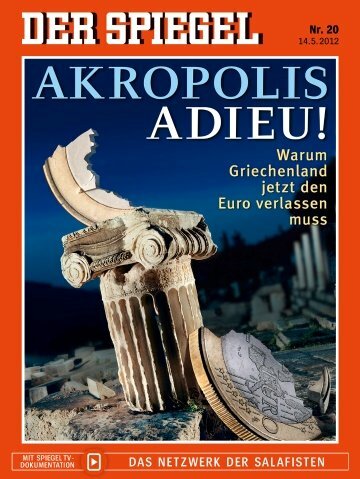 But they will most certainly care if Greece leaves the Eurozone, because confidence in other ‘weak’ member economies will be so shaken that a pan-European financial meltdown will be inevitable. The problem facing the Trapezocrats is that although the welfare of all of us requires that the Greeks get a helping hand, this conclusion undermines the fundamental free-market principle of non-intervention. The gods of capitalism must be getting very nervous indeed. Sorry, the term Trapezocrats will never work. 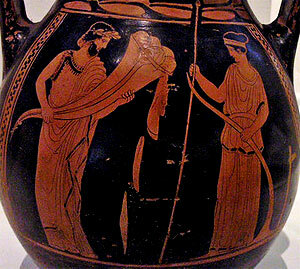 Classicists may pronounce it Tra-PEDZ-o-crats and understand what it means, but most people would say Tra-PEEZ-o-crats, and think of "daring young men on the flying trapeze."